England, 1176. Aelred Barling, esteemed clerk to the justices of King Henry II, is dispatched from the royal court with his young assistant, Hugo Stanton, to investigate a brutal murder in a village outside York. The case appears straightforward. A suspect is under lock and key in the local prison, and the angry villagers are demanding swift justice. But when more bodies are discovered, certainty turns to doubt—and amid the chaos it becomes clear that nobody is above suspicion. Facing growing unrest in the village and the fury of the lord of the manor, Stanton and Barling find themselves drawn into a mystery that defies logic, pursuing a killer who evades capture at every turn. Can they solve the riddle of who is preying upon the villagers? And can they do it without becoming prey themselves? E.M. Powell’s historical thriller Fifth Knight novels have been #1 Amazon and Bild bestsellers. 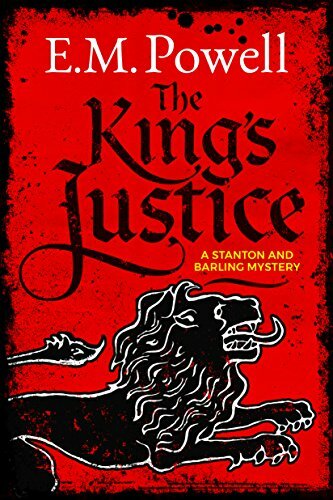 The King’s Justice is the first novel in her new Stanton and Barling medieval murder mystery series. 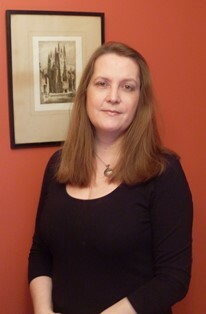 She is a contributing editor to International Thriller Writers’ The Big Thrill magazine, blogs for English Historical Fiction Authors and is the social media manager for the Historical Novel Society. Born and raised in the Republic of Ireland into the family of Michael Collins (the legendary revolutionary and founder of the Irish Free State), she now lives in North-West England with her husband, daughter and a Facebook-friendly dog. Find out more by visiting www.empowell.com. During the Blog Tour we will be giving away 6 paperback copies of The King's Justice!